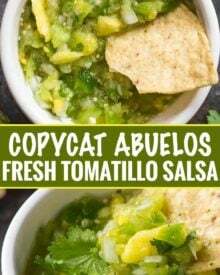 This copycat of Abuelo’s tomatillo salsa is so close, you’ll think you’re actually at the restaurant! 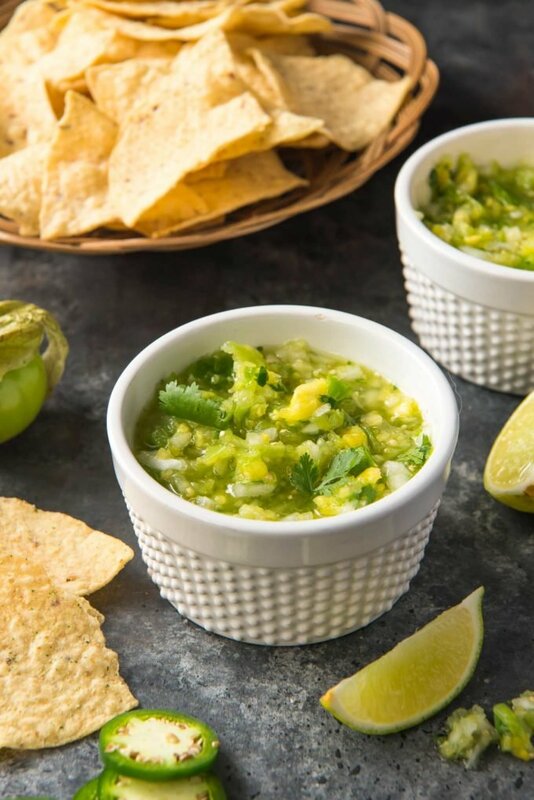 Bright and fresh, this salsa is a “must try”! Abuelo’s is one of my favorite Mexican restaurants, not only for the meals and margaritas, but for their salsas!! 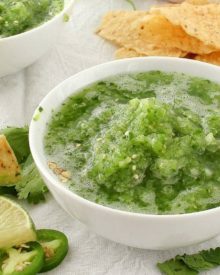 When I was pregnant with my son, I craved their “green salsa” quite literally, every single day. 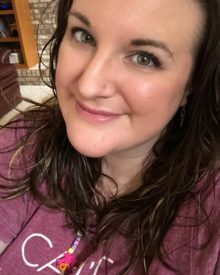 I’m pretty sure I drove my husband insane lol. Over time I learned that it was a tomatillo lime salsa, and started trying to make it at home! They look like little green tomatoes with papery husks on the them. I find mine next to the regular tomatoes in my grocery store, which is because they’re in the tomato family, even though they’re more closely related to gooseberries! There are two things to remember about tomatillos. First, after you remove the husk, you need to wash them thoroughly. There’s a sticky residue on the outside of the flesh… and it’s stubborn! 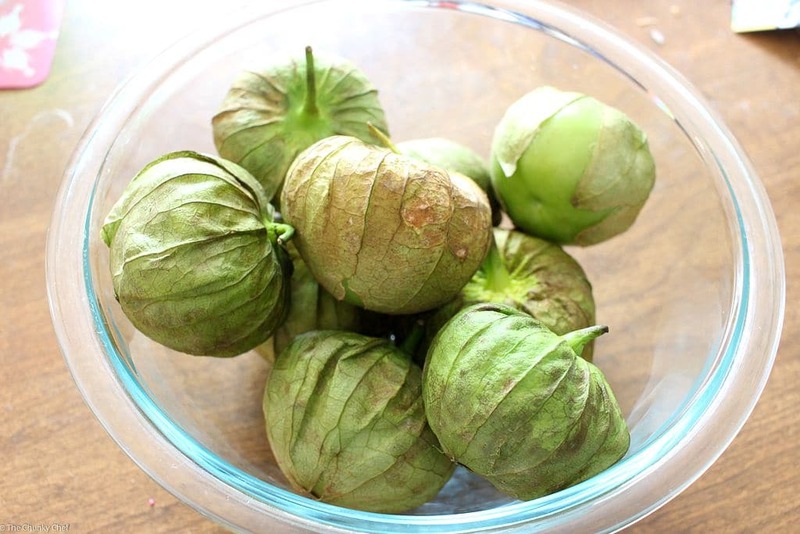 Secondly, when picking your tomatillos, try to go for the smaller, lighter in color ones. They tend to be sweeter and have better flavor! 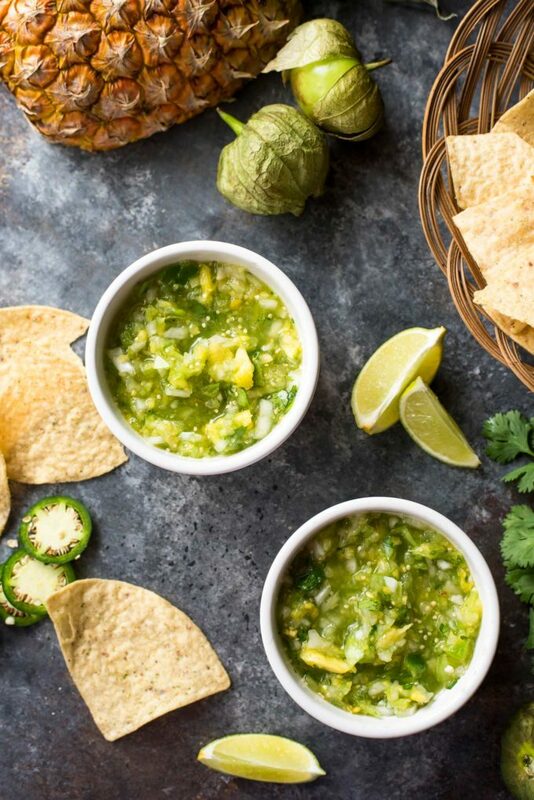 IS THIS TOMATILLO SALSA A SALSA VERDE RECIPE? It is, but probably not the type you’re thinking of. Most salsa verdes use tomatillos that have been roasted first. 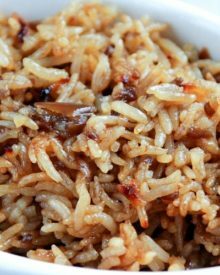 Which are delicious, but the cooking process results in a duller color and a smoother taste. The bright fresh green color, as well as the piquant zing of this salsa comes from the fact that you don’t cook these tomatillos at all! 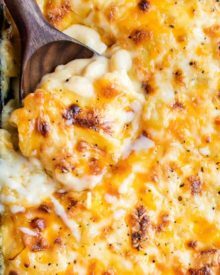 I didn’t really take any step by step photos for this recipe because guess what? It’s about the simplest thing ever! You wash the tomatillos, roughly chop them, toss them in the food processor with the rest of the ingredients, and pulse until it’s a salsa consistency. Viola! The salsa is finished! I like my salsas easy to make, with no real prep or cooking time… like my 5 Minute Restaurant Salsa! See, there I am, digging in mid-photoshoot! It’s that good you guys… all the flavors really work together here. 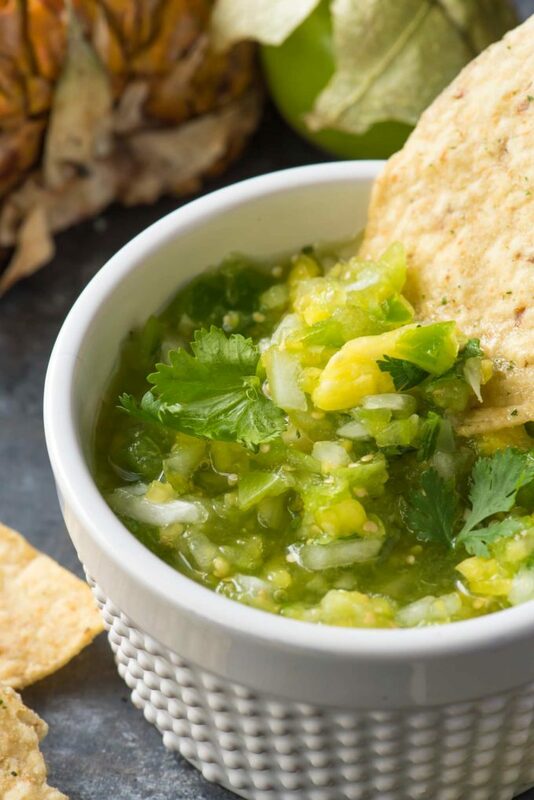 The tart freshness of the lime, brightness of the fresh tomatillos, spiciness from the jalapeno, classic salsa flavor from the cilantro and a kiss of sweetness from the honey and pineapple. Ahhhhhh-mazing! This is an older recipe of mine, back from 2015… and the original photo is below. You can see how fresh the salsa is by the little air bubbles in the dish from all the ingredients being whirred together in the food processor. 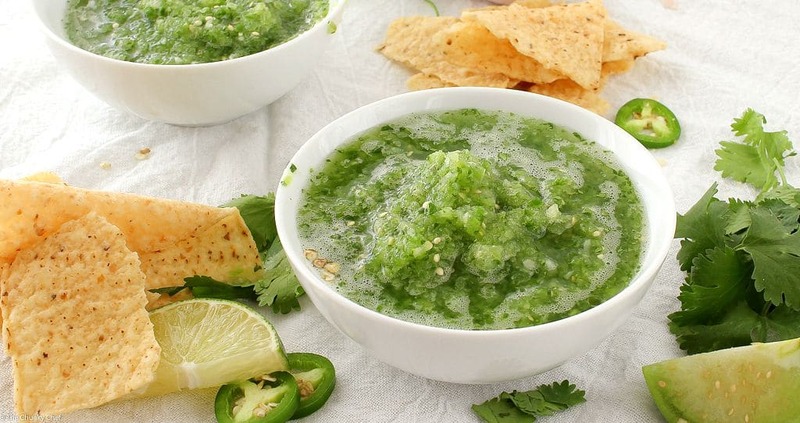 HOW MUCH TOMATILLO SALSA DOES THIS RECIPE MAKE? Make sure you scrub the tomatillos thoroughly. The sticky substance on the flesh of the tomatillo is really stubborn! 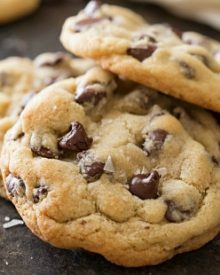 You can use either a food processor or blender for this recipe. Use whichever you have on hand. As far as the consistency, feel free to chop the ingredients up as finely or roughly as you’d like. Traditionally, in Abuelos’ restaurants, the salsa is very fine (like in the photo above), but sometimes I want more texture. The amounts of the ingredients are sort of a guideline. Customize it the way you want! I love cilantro, so I might use more than you like, so feel free to play around and get it perfect… for you! Food Processor – I LOVE this Cuisinart food processor, it’s a workhorse! Blender – if you don’t want to use a food processor, or don’t have one… this blender works great! 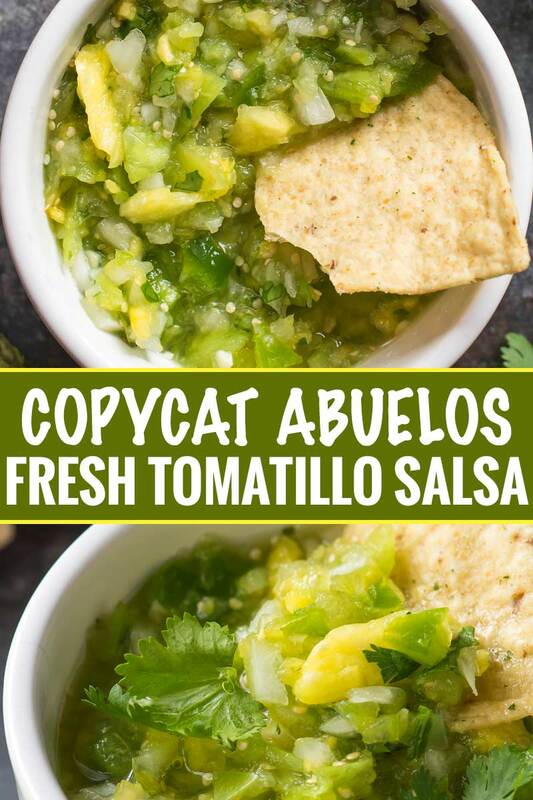 This copycat of Abuelo's tomatillo salsa is so close, you'll think you're actually at the restaurant! Bright and fresh, this salsa is a "must try"! Put the tomatillos in a food processor and pulse a few times to break them down a bit. Add remaining ingredients and pulse until desired consistency is achieved. 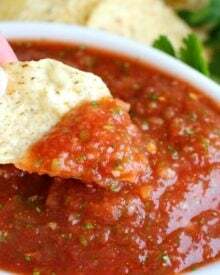 Thank you for this salsa recipe. I made it today and everyone loved it. 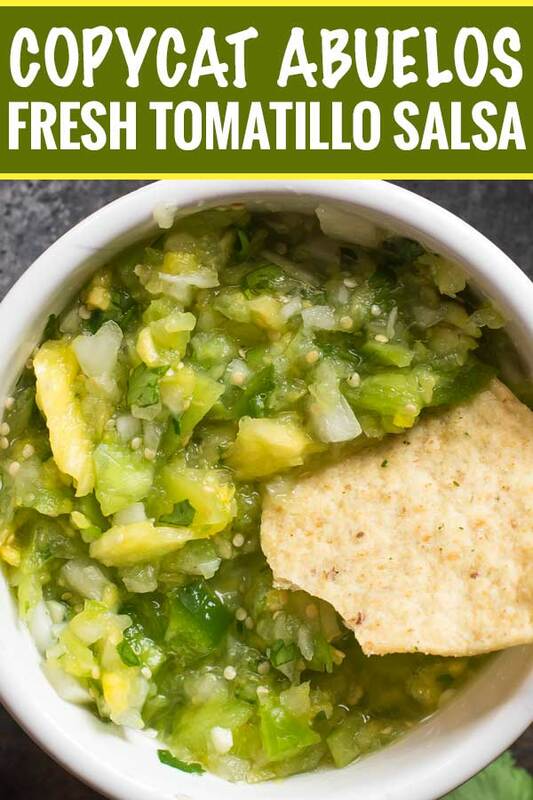 I think it’s better than Abuelo’s tomatillo salsa, but that is probably because it’s fresher. I made a slight deviation to the recipe and it turned out fantastic. Blanche your tomatillos before blending, then cut them in half before blending. Also, for a milder taste, substitute Serrano for jalapenos. Another substitution was agave nectar for the honey (for those with bad seasonal allergies). This is the kind of salsa that my husband will love. Looks fabulous! This is absolutely beyond delicious, can’t wait to try! I have never heard of this restaurant, but I NEED to try this – looks DELISH! Seriously this salsa is my absolutely fave type of salsa. I could eat it all day long! I haven’t been to Abuelo’s in so long! Can’t wait to make this at home now. Oh my goodness! This is so very delicious! Thank you for sharing!! can you can this recipe to save for longer periods? This is close, but Abuelo’s has pineapple tidbits in it and no honey. So add some pineapple and you’ve.got it! Hi Darlene 🙂 Yep, this is just my take on theirs, but you’re right, adding a bit of pineapple is a delicious addition! So good! My first try and my family loved it! Hi Rose 🙂 I’m SO happy to hear everyone loved the salsa!! If I visit there, I will try to go Abuelo too :D. I have never seen tomatillos before but It looks familiar and very healthy, Awesome recipe. 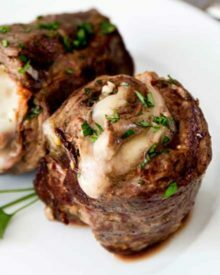 I searched online for this recipe as I also love Abuelos. This looks great but I think the one at the restaurant also has pineapple in it because I asked a server! Can’t wait to try this one. Abilene restaurant told me theirs has pineapple in it also. Thanks for this recipe. Will try it when I get home. 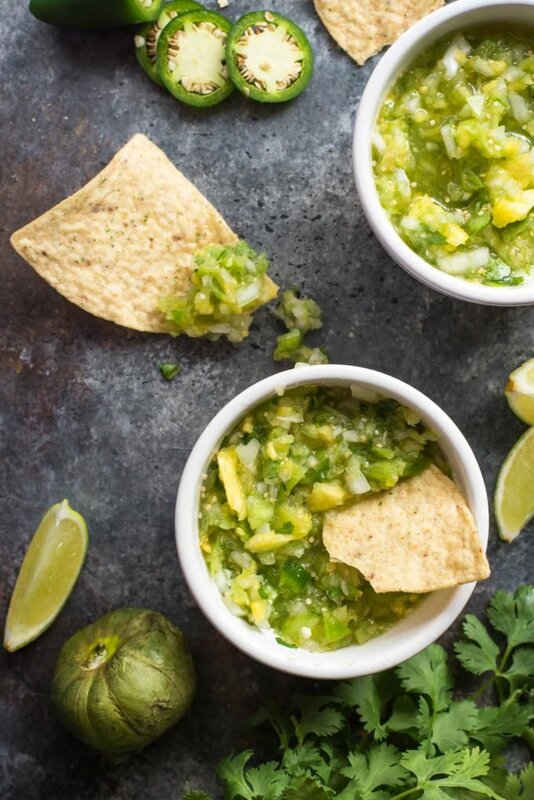 definitely my kind of salsa – I love lime and tomatillos! 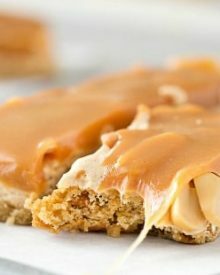 Mouthwatering recipe, Amanda and I love the photos too!